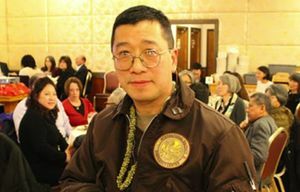 Four gun-rights groups have offered a $4,000 reward for information leading to the arrest and conviction of the person, or people, responsible for killing Chinatown International District activist Donnie Chin last week. CrimeStoppers of Puget Sound is offering an additional $1,000 for information leading to an arrest and criminal charges, CrimeStoppers spokesman Myrle Carner said. Chin, 59, was found dead in Chinatown International District early Thursday. For nearly 50 years, Chin patrolled the Seattle neighborhood for the International District Emergency Center (IDEC). Chin started the organization almost single-handedly without any financial compensation when he was in junior high because he believed police and medics had slow response times to the Seattle neighborhood. The center, Chin’s only place of employment, survived over the years on donations and grants. Police say Chin was killed near Eighth Avenue South and South Weller Street just before 3 a.m. Officers who responded to the reports of gunfire found Chin inside a car with windows that had been shot out. The Washington Arms Collectors (WAC), Citizens Committee for the Right to Keep and Bear Arms, the Second Amendment Foundation and Protect Our Gun Rights issued a joint news release Tuesday. On Monday, police were asking for the public’s help identifying “a well-intentioned good Samaritan” who picked up evidence near the site where Chin was found slain. Spokesman Sgt. Sean Whitcomb said Monday the person they’re looking for picked up some bullet casings outside crime-scene tape set up at the site where Chin was killed. The man handed the shell casings to investigators. Whitcomb said he didn’t have any update on their search for the “good Samaritan” Tuesday.